During her 30-year professional Madeline Sharples worked as a technical writer/editor and proposal manager in the aerospace business and wrote grant proposals in the nonprofit arena. She started to fulfill her dream to work as a creative writer in the last few years. Her memoir, Leaving the Hall Light On: A Mother’s Memoir of Living with Her Son’s Bipolar Disorder and Surviving His Suicide, was released in a hardback edition in 2011 and released in paperback and eBook editions by Dream of Things in 2012. She also co-authored Blue-Collar Women: Trailblazing Women Take on Men-Only Jobs (New Horizon Press, 1994), co-edited the poetry anthology, The Great American Poetry Show, Volumes 1 and 2, and wrote the poems for two photography books, The Emerging Goddess and Intimacy (Paul Blieden, photographer). Her poems have also appeared online and in print magazines, most recently the Story Circle Network’s 2013 True Words anthology. Madeline’s articles appear regularly at the Naturally Savvy and Aging Bodies websites. She also posts at her blogs, Choices and at Red Room and is currently writing a novel. In addition, she is producing a CD of her son’s music as a fundraiser to help erase the stigma of mental illness and prevent suicide. It will be released this summer. I fell in love with poetry and creative writing in grade school. I studied journalism in high school and college and wrote for the high school newspaper, but only began to fulfill my dream to work as a creative writer and journalist late in life. 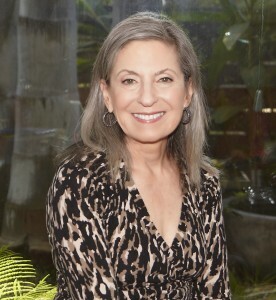 I worked most of my professional life as a technical writer and editor, grant writer, and proposal manager, I also sold real estate for ten years while my boys were growing up, and instead of creative writing I took creative detours into drawing and painting, sewing, quilting, and needlepoint. I began to delve in creative writing again in the mid 1990s by journaling, and taking writing classes and workshops. And since that time I write every day. I found the healing powers of writing through this journey as well. I began journaling again after my son was diagnosed as bipolar and since his suicide in 1999. I’ve written about this healing power to inspire others who’ve experienced tragic events in their lives to know the benefits. I had a mess of material when I first decided to create a memoir – journal entries, workshop pieces, and a poetry manuscript. As a result I used the order of the poems in my manuscript as my memoir’s first outline. That brought a sense of organization to my book. And though the outline was revised many times until the book finally was published, I am a true believer in starting a book with an outline. I’m now working on a novel – I’m in the revision process. I started this book with a scene outline and I haven’t deviated much from that initial outline yet. I suspect once I get critiques from my beta readers, that could change, but for right now I think my writing has benefitted from the organization qualities of an outline. Yes, I have created sketches for my novel’s characters. My challenge is rounding them out so they don’t appear like cartoon cutouts. I outline using Word on my computer. However I revise using the storyboard process – that is pinning up the whole document on foam boards and lining my hallway with it. That way I can move and change and delete parts of it with the benefit of seeing the whole document at one time. Yes, my characters are always on my mind. Right now I’m trying not to show that I dislike one of my main characters. I’m convincing her to be more well-rounded, not so black and white, and not so mean all the time. It takes a lot of work because this character is very stubborn and old fashioned and is such a downer. Then I love it when she says or does something that shows she is growing during the course of the book. I applaud her for trying. 1. Make writing a habit and stick to it. Don’t be distracted during your writing time. Show up at your writing desk every day at the same time. 2. Write until you have nothing more to say and then go back and edit – don’t edit while you write. 3. Write for yourself at first, not worrying about others seeing your work. 4. When you’re ready, start sharing it with others in a writing group or entering contests or in workshops. 5. Take workshops in your chosen genre – that helped me a lot in creating my memoir and novel. 6. Start setting up your author platform way before you even think about publishing your work. 7. Start a blog – it’s a good way to get your writing out in the world. 8. Do your research about self-publishing vs traditional publishing. 9. Don’t let your inner critic sabotage your creativity. Embrace your muse instead. When I decided I had a viable memoir I didn’t think about self-publishing it. I started sending out query letters to agents and small presses right away. But that was a couple years before the big boom in self publishing. Even so I’m happy I did it that way. It took me 68 query letters and two years before I had a contract with a small press, but I think it was worth it. Then when my first small press publisher went out of business, I found my current publisher, Dream of Things, in a matter of weeks. I’ve thrilled I did. I haven’t decided what I’ll do once my novel is ready to be published. I know a lot of people who have self-published so I plan to seek their advice. I love books in print form, so I hope they will never become extinct. But I don’t have a crystal ball about that. Publishing has changed a lot in the last few years and has opened up so that more and more people publish their books. That’s good so long as people don’t publish prematurely (without enough editing, reviewing, critiquing) and give self publishing a bad reputation.